Juvederm Vollure is a new hyaluronic acid filler within the Juvederm family of dermal fillers. Juvederm Vollure is softer than Juvederm Voluma and more robust than Juvederm Volbella. Thus, Juvederm Vollure fills a unique niche. Like Juvederm Voluma and Juvederm Volbella, Juvederm Vollure makes use of Vycross technology. Vycross technology represents the state of the art in dermal fillers. It blends hyaluronic acids of different weights to promote a longer duration of action. Juvederm Vollure is FDA approved for the treatment of moderately severe facial wrinkles and folds. In the FDA trial, Juvederm Vollure lasted for up to 18 months. Actual patients can expect their results to last for at least one year and up to 18 months in some patients. Juvederm Vollure lasts significantly longer than many other dermal fillers. How does Juvederm Vollure work? As part of the normal aging process, human beings lose soft tissue volume from the face. As a result, the skin becomes saggy, lines and wrinkles form, and the face loses its youthful shape and contours. Juvederm Vollure helps restore this loss of facial volume. As a result, after treatment with Juvederm Vollure, lines and wrinkles are softened, more youthful facial contours are restored, and the face appears rejuvenated. Who is the ideal candidate for Juvederm Vollure? The ideal candidate is a person with mild to moderate folds, wrinkles, and hollows in the face. 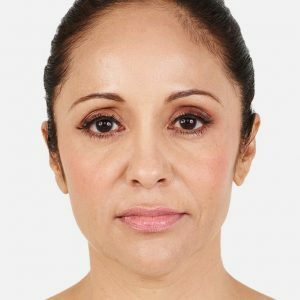 The most commonly treated areas are the folds around the cheeks (nasolabial folds) and mouth (melolabial folds), but the filler can be placed anywhere in the face where additional volume would enhance the appearance. Following treatment with Juvederm Vollure, patients can expect to see a softening of the treated lines, wrinkles, folds, and hollows. The face should look rejuvenated and youthful, and have a completely natural appearance. Very importantly, results should last at least one year, and even up to 18 months in some patients. Juvederm Vollure is the newest member of the Juvederm family of hyaluronic acid fillers. It is specifically designed to improve the appearance of lines, wrinkles, folds, and hollows in the face. Which areas of the face are commonly treated with Juvederm Vollure? 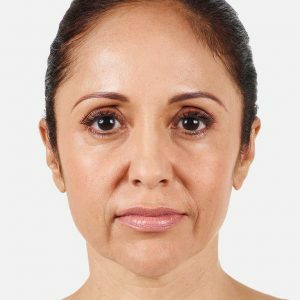 The most commonly treated areas are the nasolabial folds, melolabial folds, and other lines, wrinkles, folds, and hollows in the face. Some patients also like Juvederm Vollure in their lips in order to give extra enhancement to the lips. How long does Juvederm Vollure last? Clinical trials have shown that Juvederm Vollure will last for 12-18 months. Who are the ideal candidates for treatment with Juvederm Vollure? 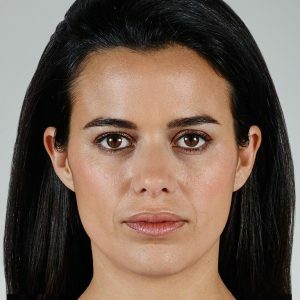 The ideal candidate is a patient with mild to moderate lines, wrinkles, folds and hollows in the face who is seeking a more youthful appearance. What is the difference between Juvederm Vollure and the other formulations of Juvederm? Juvederm Vollure is midway between the thicker Juvederm Voluma and the lighter Juvederm Volbella. This makes Juvederm Vollure an ideal filler for lines, wrinkles, folds, and hollows in the face. How are the different preparations of Juvederm used? Juvederm Voluma is formulated to add volume to the cheeks and cheekbones. It has more lifting power and will give a good result in these areas. Juvederm Volbella, being lighter, is especially useful to plump the lips and treat the lip lines and the other lines around the lips and mouth. 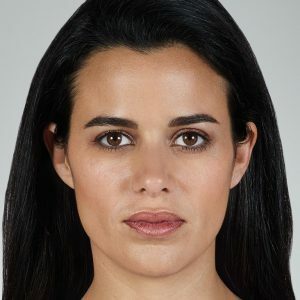 Thus, depending on what a patient needs, it is entirely possible for a patient to receive Juvederm Vollure, Juvederm Voluma, and Juvederm Volbella all in the same treatment session. Is treatment with Juvederm Vollure painful? No. Patients are numbed prior to treatment with a numbing cream. In addition, Juvederm Vollure has a numbing agent within it called lidocaine, so as the treatment proceeds the tissues get number over time. Most patients will have a very comfortable experience. In our office, very sensitive patients have their anesthesia supplemented with a cold air blower to further enhance their comfort. Can Juvederm Vollure be combined with other treatments? Yes. Juvederm Vollure is commonly combined with Juvederm Voluma to enhance the cheeks and cheekbones, Juvederm Volbella to enhance the lips, and Botox to improve lines and wrinkles in the upper part of the face. All of these treatments can be done at the same time in one treatment session. What are the most common side effects from Juvederm Vollure? The most common side effects are temporary injection site swelling, tenderness, bruising, and firmness. In almost all cases, they resolved on their own within one week. As with any skin procedure, infection is possible after a Juvederm Vollure treatment, but this is extremely rare. How long has Juvederm Vollure been available? Juvederm Vollure was first approved for use in Europe in 2013. It has been used to treat thousands of patients in Europe, and it has also been used in more than 80 countries around the world. In the United States, it has been available since April 2017. Is there anyone who should not receive Juvederm Vollure? Nearly every patient can be safely treated with Juvederm Vollure. The only patients who should not receive it are the very rare individuals who are allergic to lidocaine (the numbing agent in the gel) or who have a history of very severe allergic reactions (anaphylaxis). Women who are pregnant should also not be treated. If you are breastfeeding, have a discussion with your doctor about the timing of a Juvederm Vollure treatment. How can I best prepare for a Juvederm Vollure treatment? Try to minimize the use of non-prescription medications that can prolong bleeding such as aspirin, over-the-counter ibuprofen or naproxen, and herbal supplements such as Ginkgo biloba and Ginseng unless recommended by a doctor. Also, let your injector know if you are taking any prescription blood thinners such as coumadin or Plavix. How should I take care of myself after my Juvederm Vollure treatment? After your Juvederm Vollure treatment is finished, you should minimize strenuous exercise, exposure to the sun or heat, and alcoholic beverages until the following morning. Juvederm Vollure fills facial lines and wrinkles for up to 18 months. For appointments in Santa Monica & Los Angeles Call: (310) 829-9396!